It’s a common misconception that local legends and lore are unique to faraway places like Europe, Africa, or Asia. America is home to its very own unique folktales, myths, and stories, as well. In fact, every American town, big or small, brings its own unique flavor to the phenomenon. The American Legends series from History Press provides avid readers and history lovers alike with a colorful introduction to the wide, wonderful world of American myths and folktales. Get to know your favorite locations on an intimate new level and explore the unique role a given place’s legends play when it comes to history itself. Whether you grew up in bustling New York City or a tiny town in Middle America, you no doubt also grew up hearing the local lore. From Native American creation myths, to thrilling tales of piracy and shipwrecks, to bone-chilling ghost stories -- to know a city is to know its unique collection of legends. Explore the little known legends of Cape Cod in detail – everything from the Native American tale of Granny Squannit to familiar narratives on explorers and pirates. 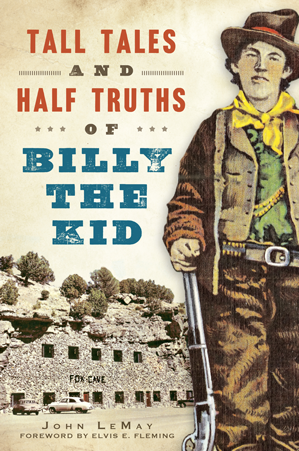 Discover the many tall tales of Pat Garrett, the man known for killing the infamous Billy the Kid. Even uncover the complete supernatural lore of Pennsylvania, up to and including chilling tales of werewolves and ghostly children.